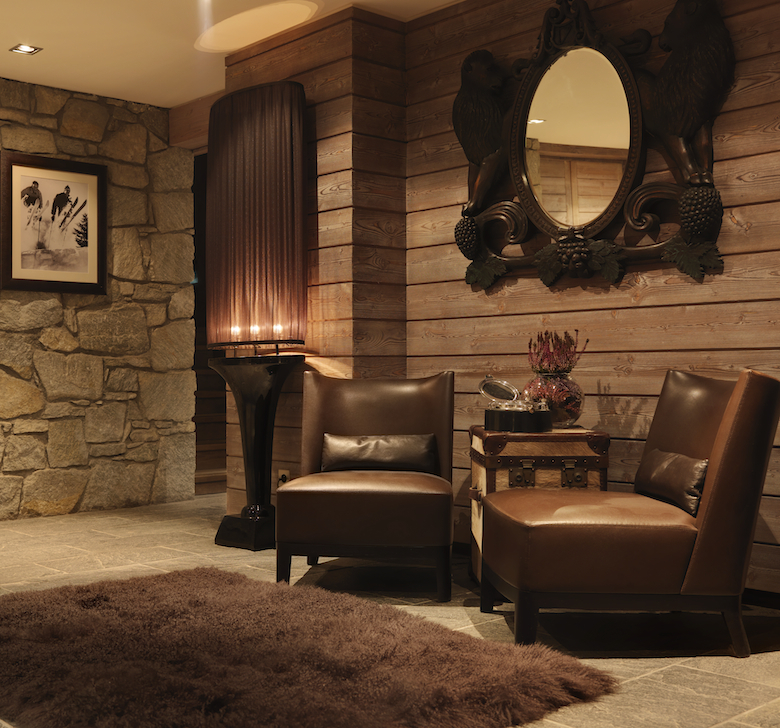 Inviting yet sophisticated, this slope-side residence is proof that chalet chic is no trite phrase. 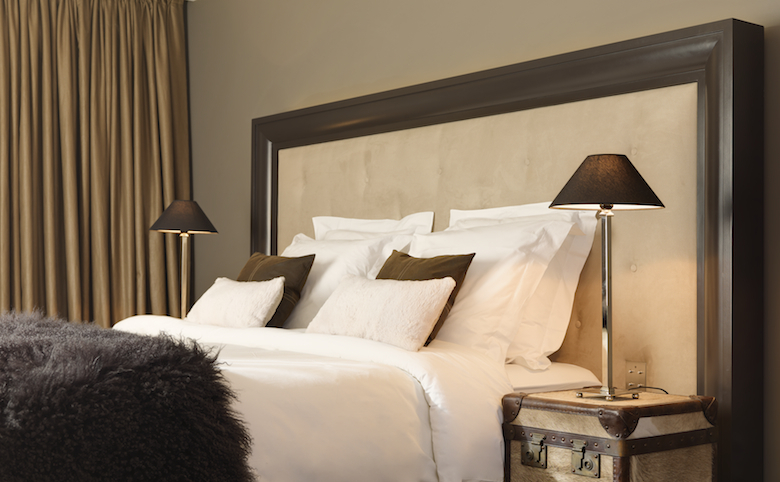 If you haven’t found yourself on the Courchevel slopes of late you might be in for a bit of a pleasant surprise because chalet style is having a reformation. On your well-earned break from powdersurfing, take a look around and you’ll see what we mean. With hotels like the swanky Cheval Blanc Courchevel and the impressive Le K2 – not to mention upcoming private projects like the W Residences – popping up, the interior talent in the area is well and truly acting as a vanguard in pushing the boundaries of the recognisable style. Replacing the stereotypical pine headache comes a much chicer, refined aesthetic which channels a sophisticated look without forgetting its heritage. Describing it as a “ski in-ski out chalet” with a purpose-made ski room, the functional aspect is undoubtedly taken care of. And, with just one look at its perfectly designed interior, it seems that the comfortable and social points have been just as expertly ticked off the list. Relaxing in the vaulted living room – which adjoins the dining room for easy transition from dinner party to after party – you’ll find plush velvet sofas (so generous you can’t help but collapse into them) surrounding a stone-clad fireplace and a spacious reclaimed wood coffee table. Flanked by brilliantly over-sized table lamps and lots of flickering candlelight (a winning lighting scheme which continues throughout the house), the space is cleverly intimate whilst still offering the trademark chalet open plan vibe. A hop, skip and a jump takes you to the dining room which is dominated by a modern, dark wood table and its custom-made droplet light fixture which, again, adds a sense of intimacy and harmony, virtually unheard of for such open rooms. Seating ten very comfortably (to say the least – just look at those upholstered armchairs! ), the room is noticeably designed with social gatherings in mind. The addition of a built-in backlit onyx bar – topped with the interior’s most traditional accents, two crystal candelabras – is the perfect place to break off for a private conversation or if the table is just a bit too formal for everyday use. A cinema room with the most stylish bean bags you’ve ever seen, swimming pool, Turkish steam room, sauna and jacuzzi are just a few of the chalet’s other luxurious features. Social spaces aside, the bedrooms – all of which are en suite and equipped with a dressing room – are kept refreshingly simple. Using neutral colours, tactile fabrics and wonderfully underdone woods, they let the show-stopping view of the nearby peaks do all the talking whilst still maintaining an inviting appeal. Displaying a refreshing attitude toward chalet style’s evolving nature, Nico explains, “With today’s thirst for technology, we need to adapt and make sure our clients’ homes are future-proofed which means embracing technology. At the same time we must be ever mindful and respectful of the traditions of such buildings. 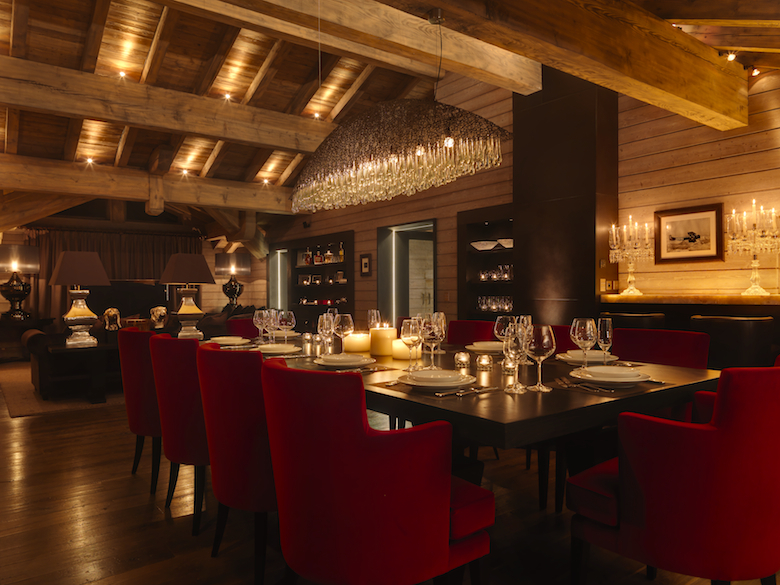 A balance needs to be found.” His Courchevel creation is certainly that. Waxing almost poetic as he talks about the project, the designer describes it as a “sanctuary from the slopes.” Which is exactly what it should be – a place to relax, unwind and leave the worries of the slopes behind.